Reduced AND Selling Furnished At This New Price! 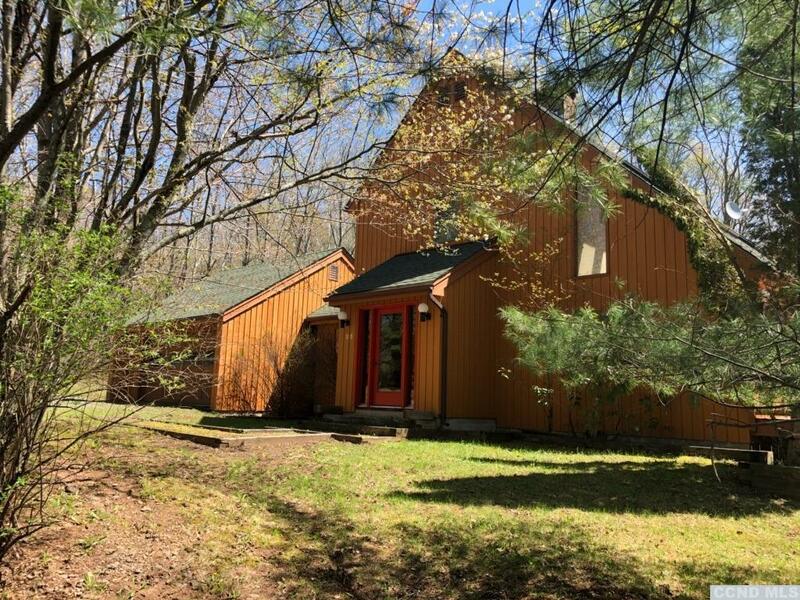 This sun-drenched contemporary with seasonal views of Windham's Slopes is conveniently located just 1.5 miles from shopping and restaurants, 3-4 miles from the Windham Ski Resort, and within close proximity to the many activities that out of towners travel to experience in the Catskill Mountains. The open floor plan offers vaulted ceilings, a wood stove, fireplace, and tons of glass allowing an abundance of natural light to filter through. The kitchen was renovated about 5 yrs ago with corian counters & new appliances. Four bedrooms in total with one on the main floor and a master en-suite on the second. Sliding glass doors in the dining room lead to a lg deck where you can entertain or kick back to watch Windham Mtn's fireworks display. There's no need to buy a home that you'll have to add a ski room and garage to, this house has both!